High Point University in High Point, North Carolina, definitely has the WOW factor. I spent a full day on campus, talking with students, professors and admissions staff. You might think you are in a corporate conference center when you take a tour – and you’ll take a very personalized tour, with just 6-8 people led by a student ambassador who will drive you around this spectacular campus in a golf cart. The dorms are furnished with high-end furniture and the academic lounge spaces are decorated with Persian rugs and African artifacts. There’s not a scrap of the typical college modular furniture on this campus, and not a scrap of litter on the ground. All freshmen take the President’s seminar, spending 8 or 9 hours in their first semester in a lecture setting with Dr. Qubein. These are the only large lecture classes; other classes generally have a maximum of about 30 students. Professors know their students and spend time with them; students say that the personal attention from professors is one of the best parts of their High Point education. Enrollment has increased from 1,500 undergraduates to over 4,000 since 2005, and the school aims to grow to about 5,000 undergrads, and SAT scores (ie. selectivity) have actually increased in that time frame. Eighty percent of the students are from outside of North Carolina, and about a third of the students join a fraternity or sorority. 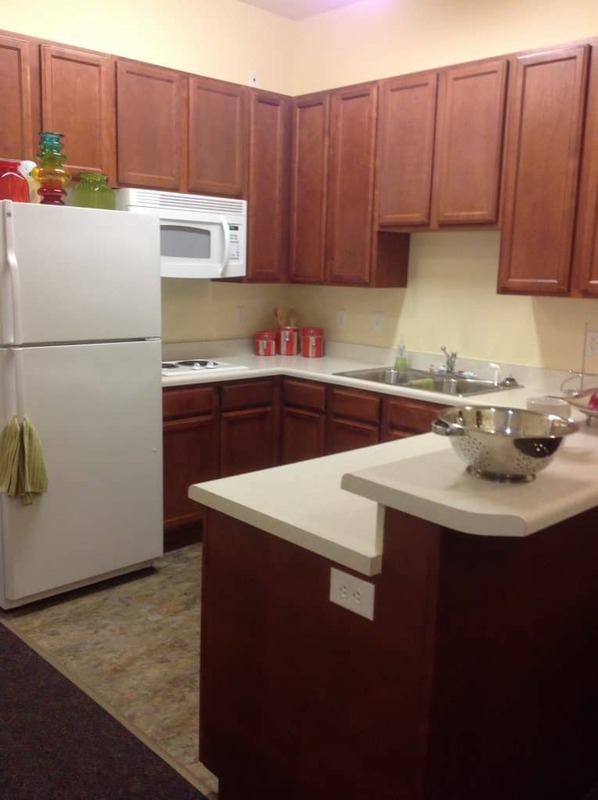 Most students live on campus in dorms and campus housing with a variety of styles – all with beautiful furniture. Top majors include business administration, communications, biology, education, exercise science, psychology, interior design, athletic training and criminal justice. The Human Biomechanics and Physiology lab, which undergraduate exercise science, physical therapy and athletic training students use for research, is a 13,000 square foot facility with state-of-the-art equipment comparable to the lab at Nike’s headquarters. I went into the environmental chamber that can simulate air pressure and temperature up to 13,000 feet and 99% humidity, helping athletes train for high-altitude events, among other things. High Point was one of the first universities to grant a degree in sports medicine, and their new Doctor of Physical Therapy program launches in 2016. High Point is a Methodist-affiliated college, but there are more Catholics and more Baptists here than Methodist students. There is a Hillel, and as with most issues or questions parents and prospective students ask, High Point addresses the issue head-on. Students are required to take one course on ethics and one course related to religion (many interesting choices) and the liberal arts core requires students to take history, English lit and English writing, a foreign language course (9 choices), social science, science, physical education, the first year seminar, mathematics, lab science, and theatre/music/art appreciation. Core courses can be spread out over four years. 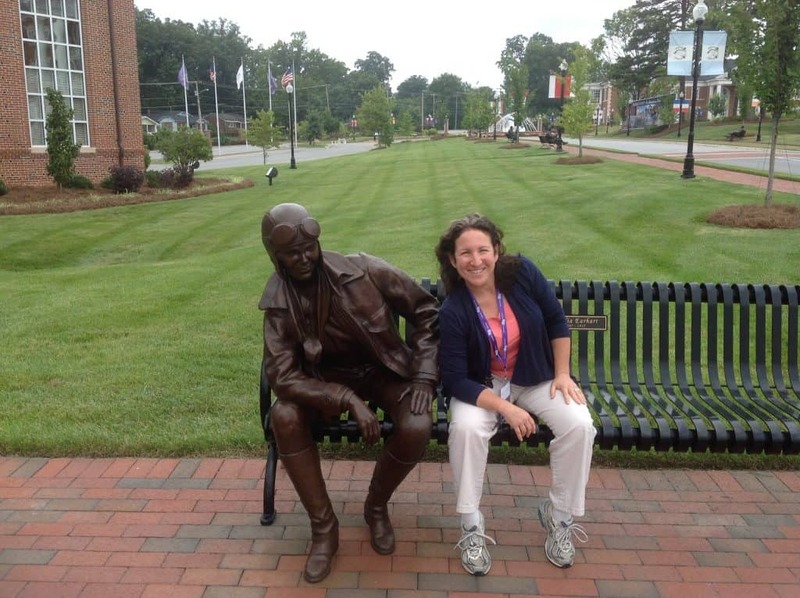 Amelia Earhart sits in front of the Education building at High Point University. High Point emphasizes experiential learning, and professors incorporate some experiential component into each class. 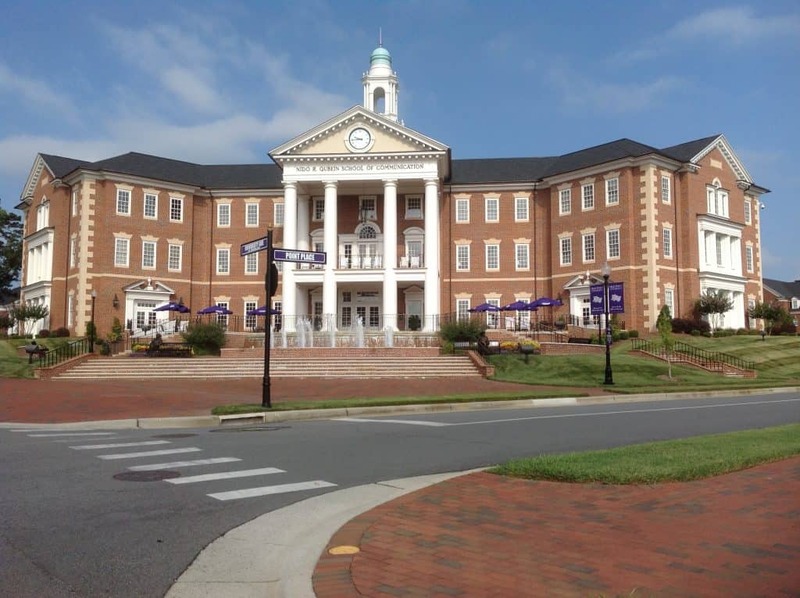 For this reason, most semester-long courses at High Point are four-credits instead of three; students take four courses per semester, instead of the standard five at most other schools. Some have said that the campus has a Disneyland feel to it; the fountains babble happily and music plays through an outdoor sound system. Statues of famous and inspirational people – Amelia Earhart, Abe Lincoln, Mother Teresa, Albert Einstein, and many, many others – are perched on campus benches. High Point would ask you to look beneath the surface and ask “why” things are so beautiful here. This up-and-coming university strives to educate students how to be successful, both in and out of the classroom.